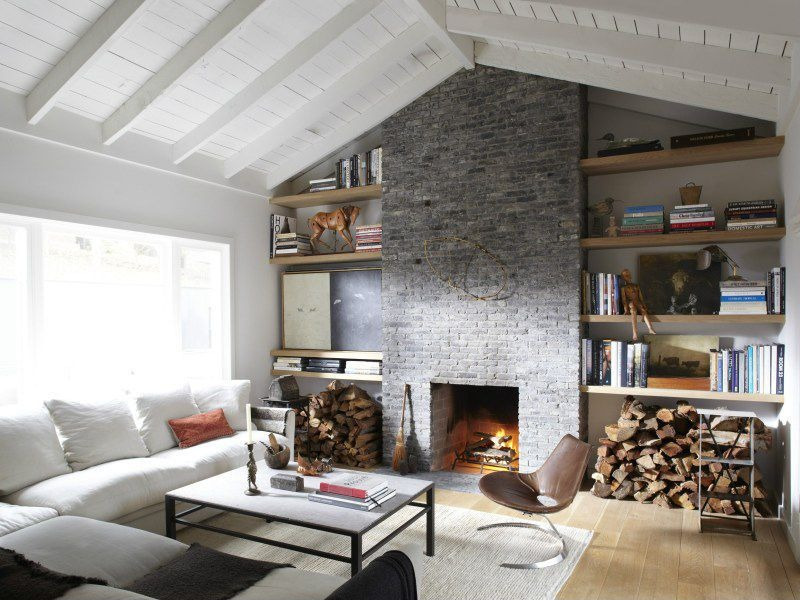 Kevork Djansezian/GettyEllen DeGeneres is a self-proclaimed lover of architecture and design. 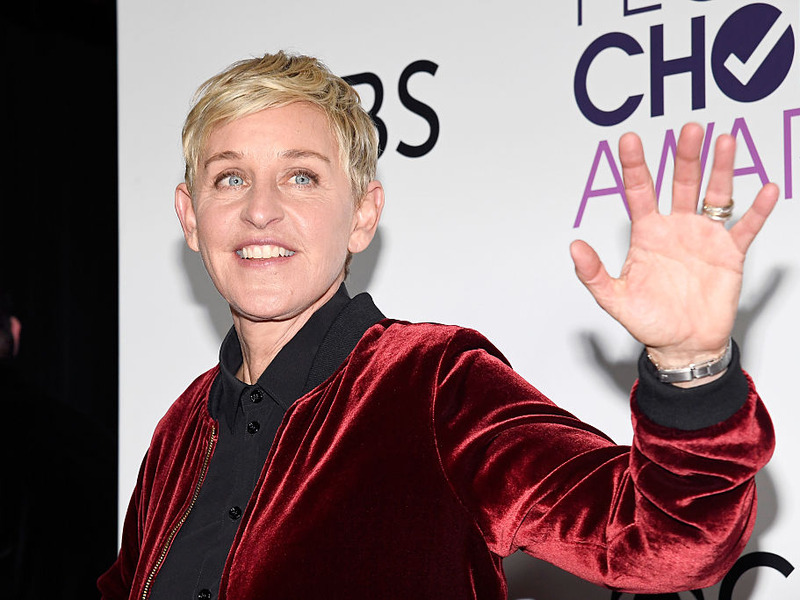 It’s an open secret in Hollywood that Ellen DeGeneres – America’s beloved talk show host and comedienne – moonlights as a successful house flipper. 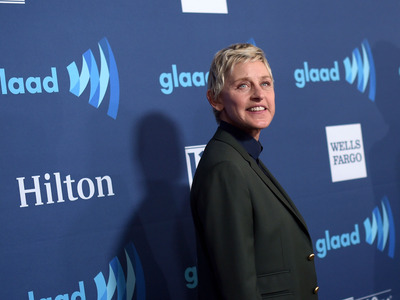 Over the past 15 years, DeGeneres has amassed nothing short of a real estate empire. She buys and sells luxury California properties, sometimes living in multiple houses per year, and making huge profits from fixing them up.DeGeneres usually garners millions from her flips, selling her renovated homes to fellow A-listers like Ryan Seacrest and former Google CEO Eric Schmidt. But she rejects the term “flipping”to describe her endeavours, insisting that her real estate gains are borne through sheer enjoyment, more than anything. DeGeneres documented her housing journey in a book published in 2015, called “Home.” She and wife Portia de Rossi have bought everything from an upscale “treehouse” to a traditional horse ranch – and loved one property so much she ended up buying it twice. Here’s a chronological guide to some of DeGeneres’ coolest – and most lucrative – real estate projects since 2004. ZillowInside ‘The Treehouse’ in Laurel Canyon. This property in Laurel Canyon – nicknamed “The Treehouse” – has an impressive lineup of past owners. 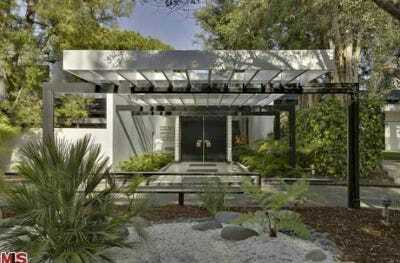 But DeGeneres started the trend in 2004, purchasing the hidden, woodsy bungalow for just over a million dollars. According to Variety, she gave it a “Zen-modern” makeover and sold it to director David Weissman a year later, for almost a million more. 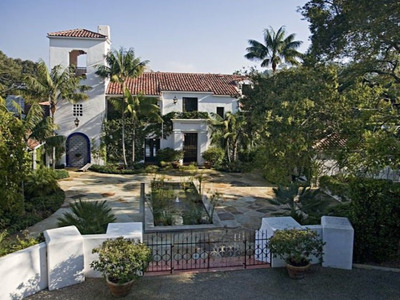 Since then, it has been owned by Heath Ledger, Adrian Bellani, and is currently home to Josh Hutcherson. Sotheby’s International RealtyThe estate in Montecito, California. This sprawling Montecito estate is Southern California at its finest – so fine, in fact, that former Google CEO Eric Schmidt bought the property from Ellen in 2007 for a whopping $US20 million. It has since become infamous for being the location of Kris Humphries and Kim Kardashian’s 2011 wedding. Schmidt reportedly considered selling it afterwards, as the mansion – which had been a popular wedding venue – was suddenly viewed as unlucky. Courtesy of Westside Estate AgenciesAn aerial view of the Beverly Hills compound. DeGeneres and de Rossi bought this estate’s original property for $US29 million – until they decided to merge it with three adjacent homes, nearly doubling its value. 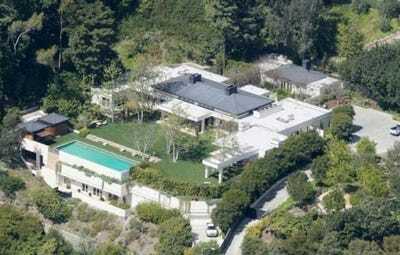 According to The Hollywood Reporter, the couple spent five years in the 9,200-square-foot “compound,” eventually selling it to Ryan Seacrest in 2012. This sale, however, marked a rare loss in profit for DeGeneres – most likely due to the drop in Los Angeles housing prices at the time. Realtor.comAn outdoor view of the beach house in Malibu. 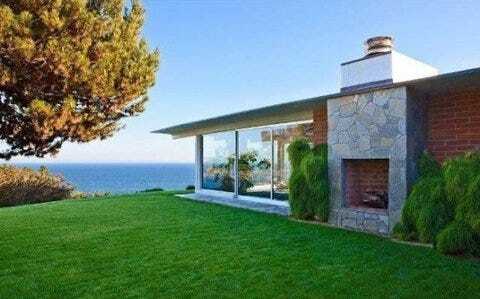 In 2011, the DeGeneres couple made a cool million on this chic Malibu property, which was previously owned by Brad Pitt and Angelina Jolie. Despite its amazing amenities – including backyard beach access, a private beach cove, and a tennis court – the couple stayed there for less than a year, eventually “quietly” selling in 2012. According to Zillow, they may have been disenchanted with the property because there wasn’t much to fix up, as Pitt and Jolie had already renovated. Located just north of Los Angeles, this 26-acre horse ranch had a rich history long before DeGeneres and De Rossi decided to call it home in 2008. Built in the 1920s as an estate for actor William Powell, the ranch, according to Vogue, was both a monastery and a rehab center in the past. The property features several barns and stables, and it was completely revamped by the DeGenereses in just 12 months. The couple apparently “lived in every cabin as [they] decorated and restored them one by one.” The flip paid off, with an almost $US3-million profit. 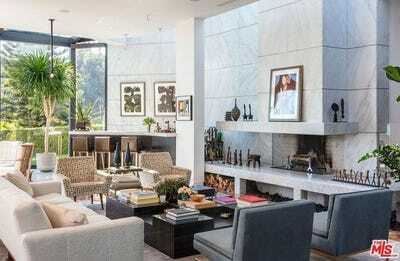 Realtor.comInside the Hal Levitt house, decorated by Kelly Wearstler. The Trousdale Estates neighbourhood is described by The New York Times as “ultrachic” – so it’s no surprise the area attracted DeGeneres’ keen eye. In 2012, she purchased the “Hal Levitt house” or “Skouras residence,” which was designed by coveted California architect Hal Levitt, and was once photographed for a Versace campaign. 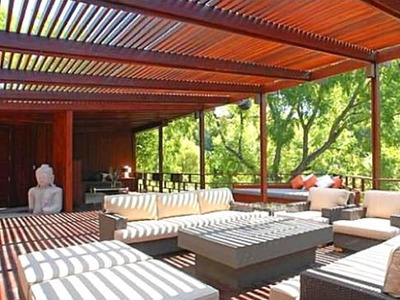 Regardless, the couple sold the mid-century stunner in 2013 and made just shy of $US3 million in profit. RedfinAn outside view of the famed Brody House in Holmby Hills. One of the DeGeneres’ most successful flips to date, the Brody House in Holmby Hills, California, is nothing short of legendary. DeGeneres and de Rossi eventually felt like “custodians to an important piece of architecture,” so they sold the estate to Napster founder Sean Parker about seven months after moving in – pocketing a whopping $US15 million in the process. ZillowThe expansive ranch in Santa Barbara. The couple snagged a $US4 million profit from this recent, off-market sell in 2018. 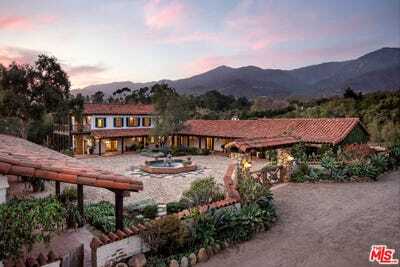 The rustic Santa Barbara estate is located in a notoriously pricey area – and is neighbour to Oprah Winfrey’s “The Promised Land” estate. It now belongs to Sean Rad, the founder and Chairman of Tinder, according to Variety. In 2015, she rented a property to Nick Jonas. NBCUniversalNick Jonas and Ellen on her talk show in 2015. 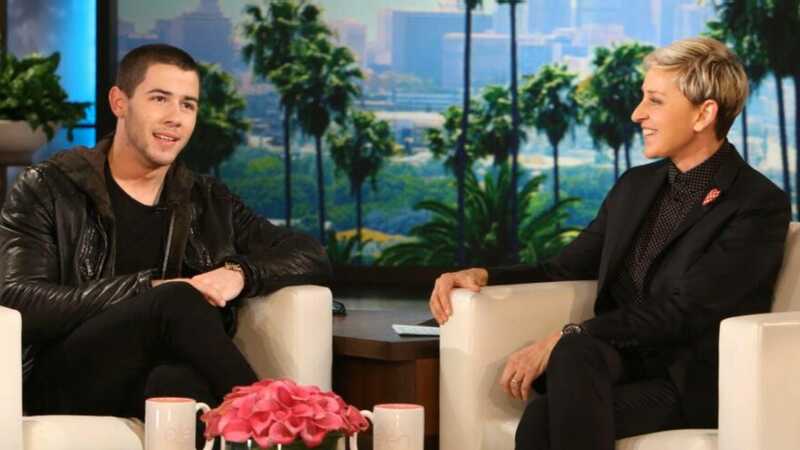 In addition to selling properties, Ellen has ventured into renting and leasing: Nick Jonas was one of her tenants in 2015. Ultimately, Ellen DeGeneres has spent at least $US145 million flipping houses — and has profited millions in return. Jason Kempin/Getty ImagesFor Ellen, buying and selling homes is a passion. In her TODAY interview, DeGeneres remarked on how thankful she is that she now gets to own homes. Growing up, her family didn’t have a lot of money – which sparked a reverence for real estate in the young star.